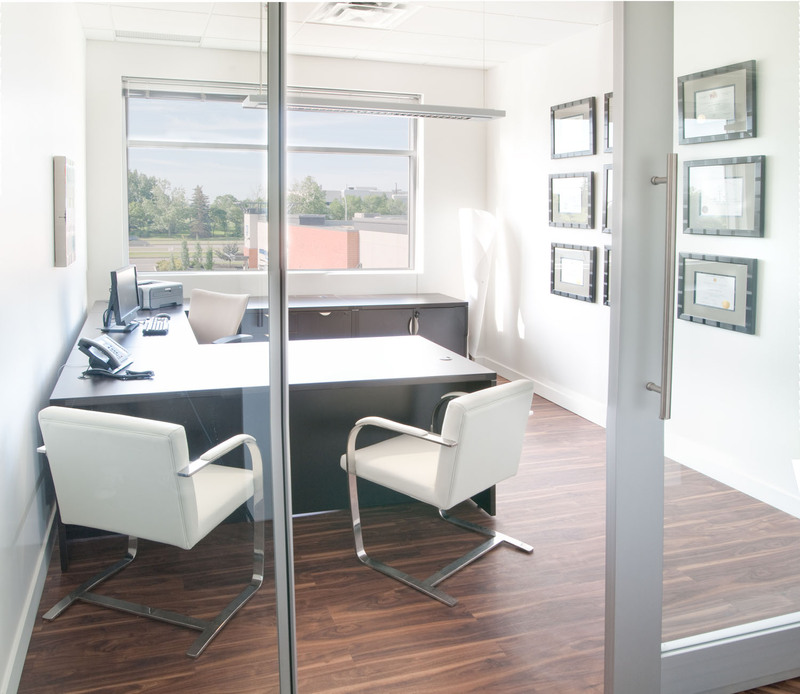 Dr. James Wolfli : Wolski Design Group Ltd. 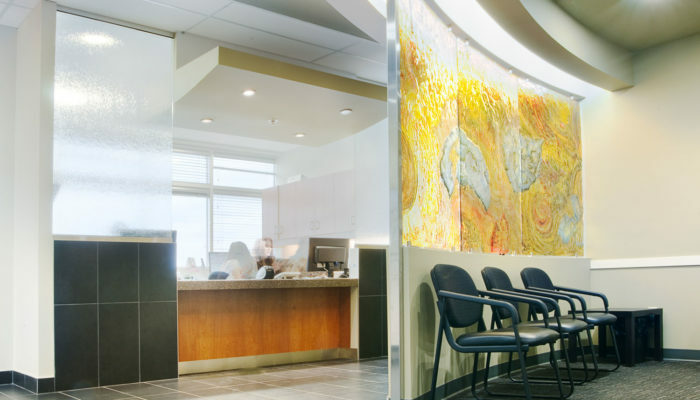 This clinic features a mid-century modern design, with plenty of natural light filtering in the reception and office areas. 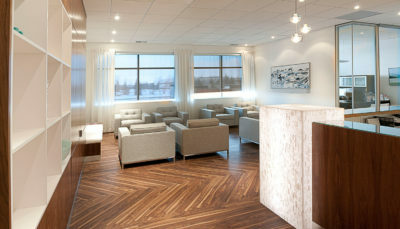 Its clean minimalist look emphasizes an orderly and hygienic medical image, while the white walls provide the perfect backdrop for the doctor’s growing art collection. 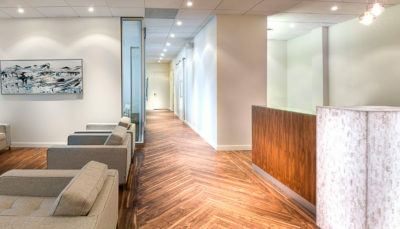 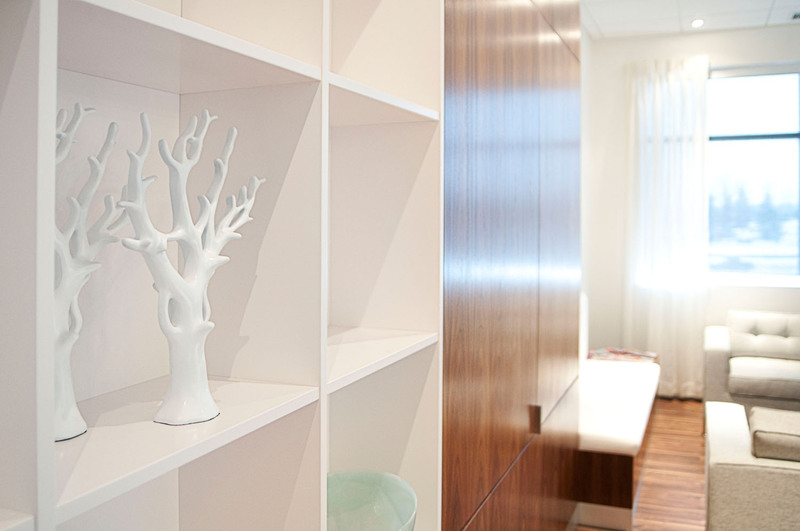 At the end of the reception area, a walnut cabinet conceals a large electrical panel, while decorative shelving and benches balance the composition. Beautifully weaved throughout the space, a herringbone floor pattern creates movement and adds a classic definition to the design. 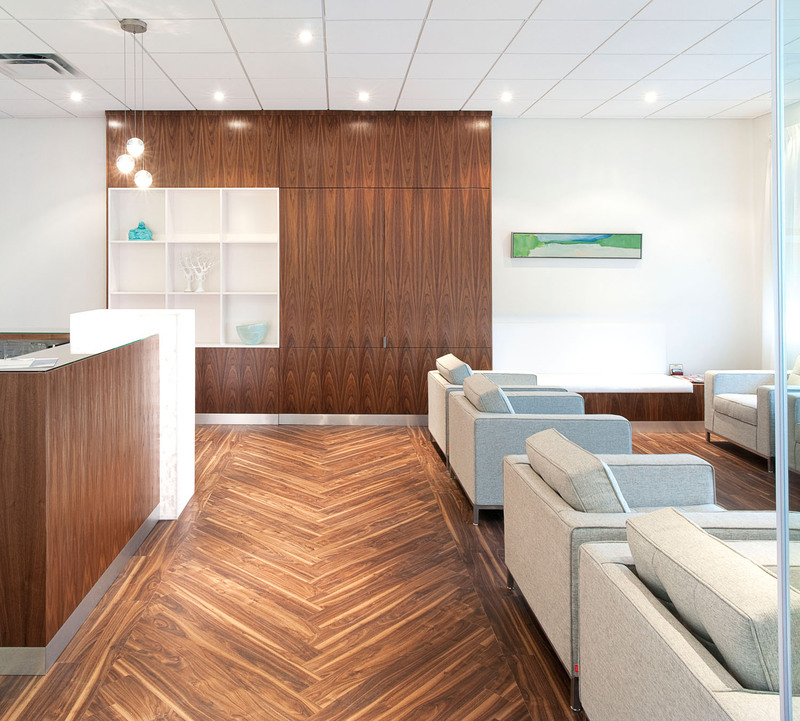 This clinic’s clean minimalist look emphasizes an orderly and hygienic medical image, while the white walls provide the perfect backdrop for the doctor’s growing art collection.